There was bad news for British democracy on Wednesday. The new system of electoral registration being introduced in Britain next year hit a set-back. Soon, every citizen in Britain will need to register individually and provide key personal identifiers in order to register. When this was introduced in Northern Ireland there was a significant decline in levels of electoral registration. Research has suggested that a further decline will occur when implemented in Britain too. This is especially troubling since one in five of eligible voters are already thought to not be registered. I wrote a blog about the changes on the Democratic Audit website earlier in the week. But things are moving quickly. One idea that the government has been exploring to prevent any drop is data-mining. This involves registration officers using other government databases, such as the Department for Work and Pensions, the Student Loans Company etc., to find the names and addresses of people who are not on the register. They can then be written to and invited to register. 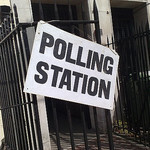 The government and Electoral Commission published reports on the effectiveness of data-matching pilots on Wednesday. This or its consequences was not picked up by any media, as far as I am aware, perhaps because there was no Electoral Commission or Cabinet office press release. Sadly for British democracy, the news is not good. The databases used produced low levels of new electoral registrations. If managed differently, there might have been greater returns, the Electoral Commission suggested and the evaluations might have been able to be more certain about whether these were really new registrations or not. It was very expensive. Registration officers therefore could not absorb this practice into their everyday practice without significantly more money. Cabinet Office did not publish their expenditure (p.4) so there might be more costs involved in managing the process centrally. This comes at a time of government spending cuts. The Electoral Commission has therefore concluded that the pilot does ‘not justify the national roll out’ of data-matching. This means that we may still be set for a ‘car-crash’ drop in levels of electoral registration. We should not be hasty in casting data-mining aside. After all, it did find some new voters. And what is the monetary value of a registered voter or a vote? Whatever the state of the public finances, democracy must not be compromised. However, there is clearly a need to explore further ways to boost voter registration. A British Motor Voter Act? One way that I have suggested that this can be achieved is for the UK to learn from the US experience. In the US in the 1990s a law was passed that expanded the number of locations and opportunities whereby eligible citizens could apply to register to vote. In particular, citizens were to be given a voter registration application when they applied for or renewed a driver’s license, or when applying for (or receiving) services at certain other public offices. Today, a huge proportion of new registrants use this mechanism to register to vote in the US. Data from the US Electoral Assistance Commission shows that 37.1 per cent of registration forms were submitted via motor vehicle agencies in 2010. Over 18 million citizens used this method in 2008. Subsequent empirical studies showed how this (and other methods) could improve registration rates (see here for an overview). Researchers later argued that the effect on registration could have been greater had federal agencies worked harder to enforce the Act. This might be a more promising way to improve voter registration. When we register for a drivers licence (or access another government service) could a box be provided for us to tick so that we can have our name added to the electoral register? Electoral registration officers could then check and update their records. No doubt, that would cost money. But elections and democratic representation are worth it.